The beautiful grounds just before a storm. 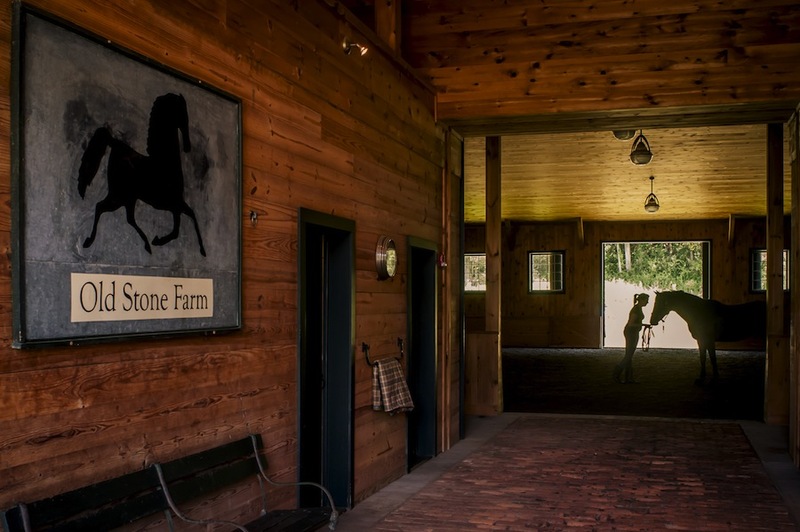 All photos courtesy of Old Stone Farm. 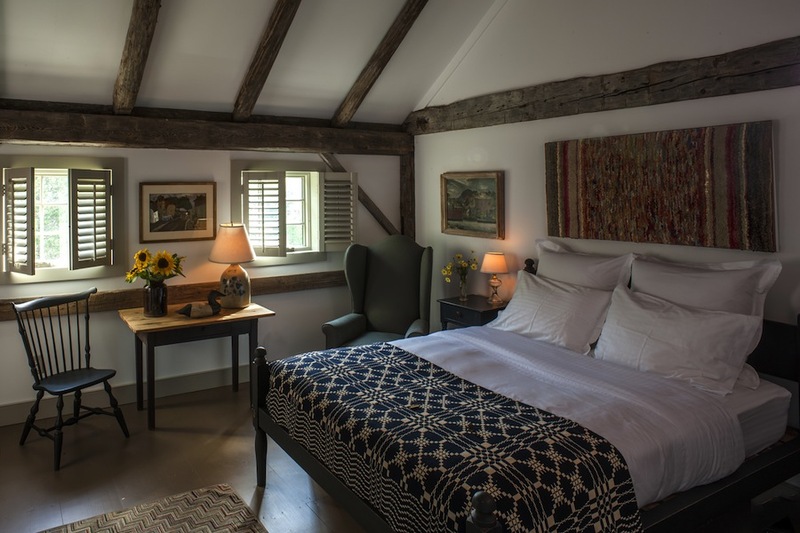 Fathom contributing editor and B&B hater Christina Ohly checked into Old Stone Farm, a beautiful, new inn/spa/holistic healing center a few hours north of New York City. And just like that, she's singing the hippie tune. 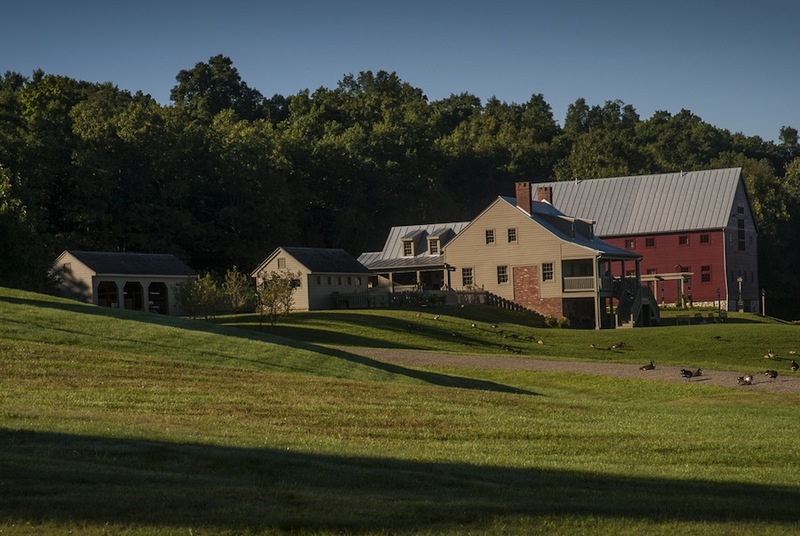 HUDSON VALLEY, New York – I am not generally one for a B&B — or any kind of creaky-floored communal living, for that matter — so my recent visit to Old Stone Farm, a hotel that opened about six weeks ago near bucolic Rhinebeck, New York, took me completely by surprise. I have explored this picturesque part of the Hudson Valley at length. It is full of beautiful scenery, great farmers' markets, and endless culture (music, theatre, and historic homes), but there has always been a lack of great (do not read "fancy") places to stay. But with the addition of Old Stone Farm, a ten-room inn, spa, and holistic healing center, the area's accommodations are really looking up. The brainchild of Sherry Kahn and her late husband Stu, the property is full of wonderful old barns, a yoga studio, lofty spaces for quiet contemplation, and cozy bedrooms. One of many cozy common spaces. You drive through the massive split fence gates onto 236 acres of horse farm. It's as beautiful as you can imagine. You're surrounded by natural beauty everywhere: in the gardens and maple groves, by the swimming pond, and along the hiking trails. Your bags are whisked to your room and your car is valet parked, but there is nothing "hotel" about this place. 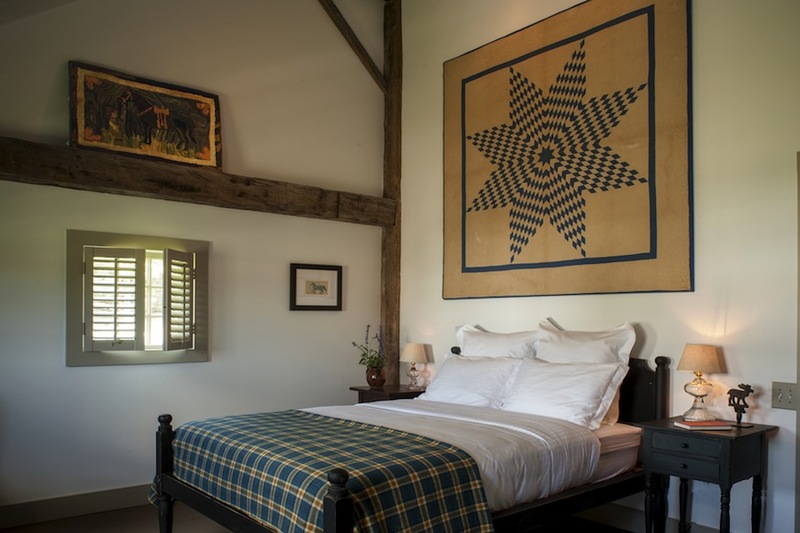 The innkeeper's warm greeting gives the feeling that you've arrived at the estate of a gentleman farmer friend. The communal spaces — bright sitting rooms, reading nooks, a long dining table (a personal taboo, but somehow acceptable here) — encourage you to spread out as if you were in your own home. You're a guest at this intimate house party. Equinox and Blue, two of the guest rooms. The rooms has been lovingly restored down to the details — organic mattresses, Frette linens, extensive collections of American art, and high, exposed-beam ceilings in many rooms. Most are named for the farm's horses: Tidbit, Spirit, Secret, Duke, and Hawkins among them. The sprawling four-bedroom guesthouse is a great option for families and small groups. The two cedar steam cabinets. Some of the best therapists in the Hudson Valley are on call to perform daily, wellness treatments like massages, energy healing treatments, facials, and wraps. Haute hippies, it turns out, give killer massages, and there are all kinds of craniosacral and soothing hot stone options that I never even knew existed. 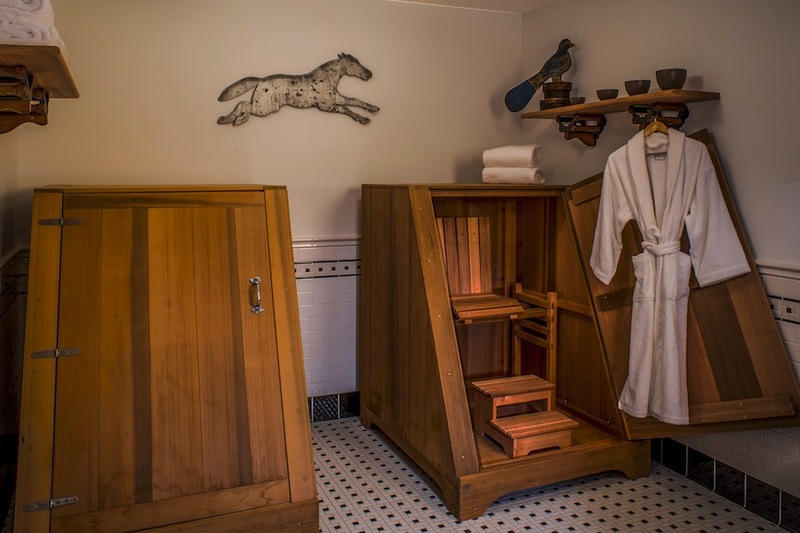 Coolest of all may be the two cedar steam cabinets — old school! completely rejuvenating! — that incorporate the principles of Ayurveda to cleanse and detoxify the body. 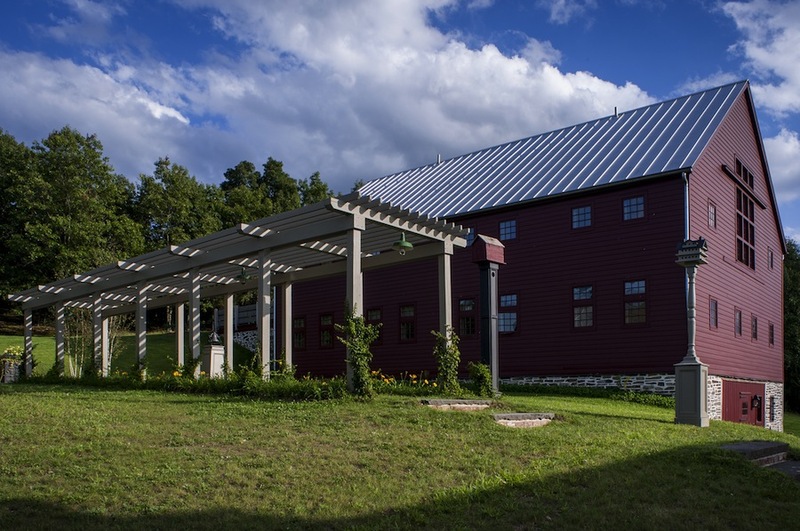 The adrenaline is physical: Guests can use the indoor and oudoor horseback riding arenas and take energizing yoga classes in the 18th-century barn. 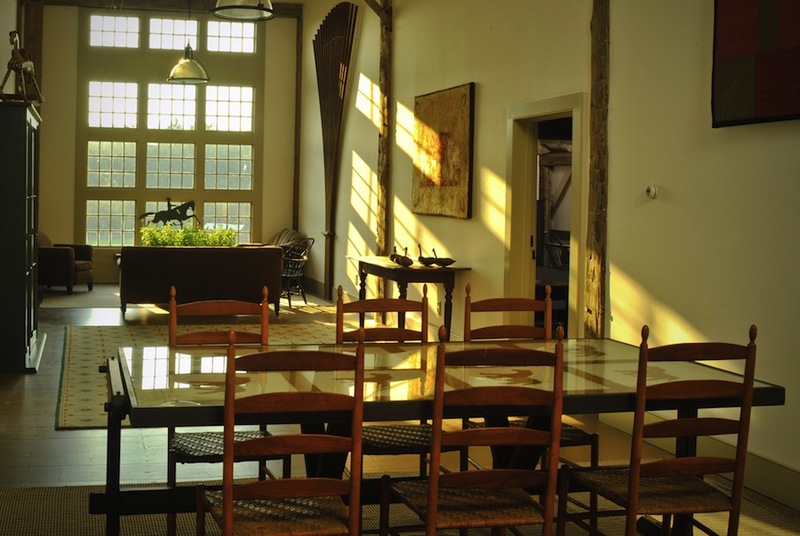 And the adrenaline is mental: A series of constantly changing workshops designed to educate and reinvigorate are integral to the Old Stone Farm ethos. 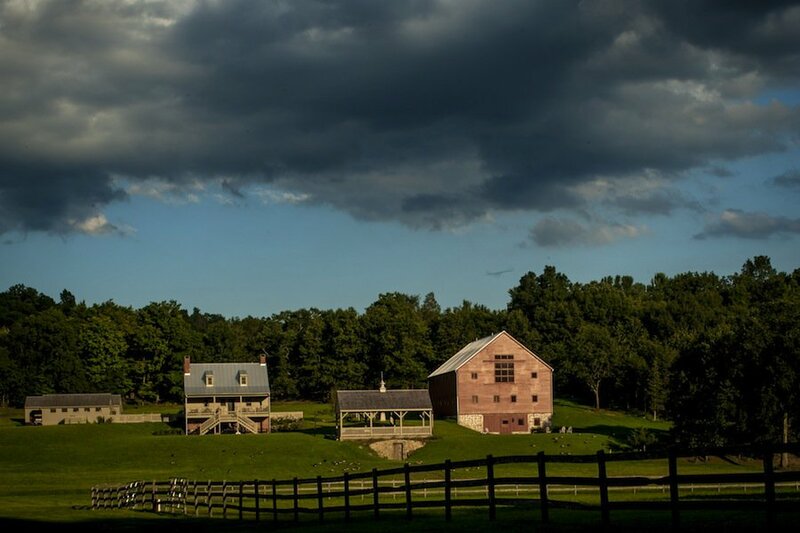 There are weekend retreats — classes with noted yoga instructors, spa treatments, horseback riding — and courses, like the four-day "This Beautiful Wound: Grief as a Spiritual Path." It's all a little touchy-feely but in a subdued way. Guests feel encouraged to explore new topics and try new treatments. 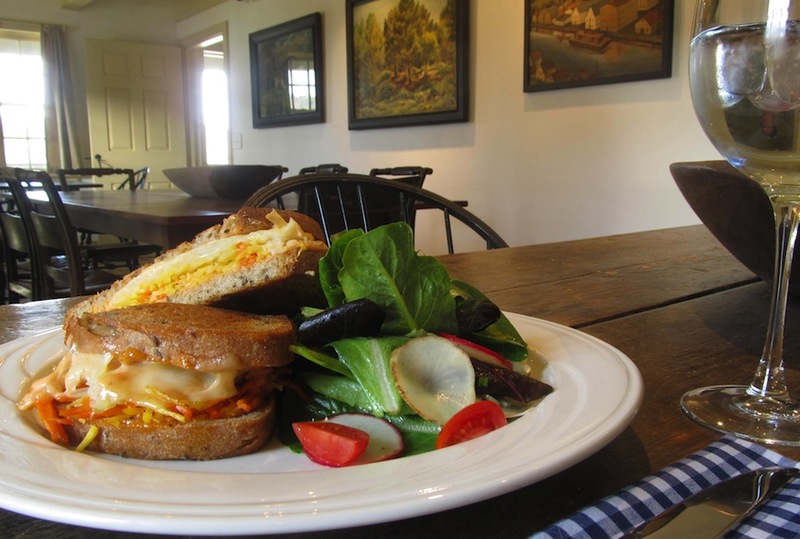 A sampling of the inn's hearty, healthy food. What is a weekend away without great food? Not much, I say. Chef Matt Gaines cooks three delicious meals a day, plus endless snacks and hors d'oeuvres, at Pop's Kitchen, a central building with a cozy dining room and an enormous, kitted out kitchen. Gaines uses locally sourced ingredients whenever possible and prepares sophisticated, flavorful cuisine. The housemade granola and a warming Davenport Farms corn soup with avocado, lime, and queso fresco are notable menu options. For lunch, the hearty, inventive veggie burgers made with French lentils, bulgur, cremini mushrooms, leeks, onions, and a barbecue glaze will tide you over until a dinner of braised chicken, seared halibut, or fresh pasta. Everything is imaginative and delicious, right down to the killer flourless chocolate with local strawberry sorbet. The chef knows his clientele (gluten-free, vegan, everything in between) and can tailor his dishes to all sort of dietary requirements. Bottom line: The food is scrumptious, fresh, and filling. This is not an exercise in deprivation, but rather a place to be introduced to the bounties — freshly baked bread, Catsmo smoked salmon, local cheeses — of the surrounding area. 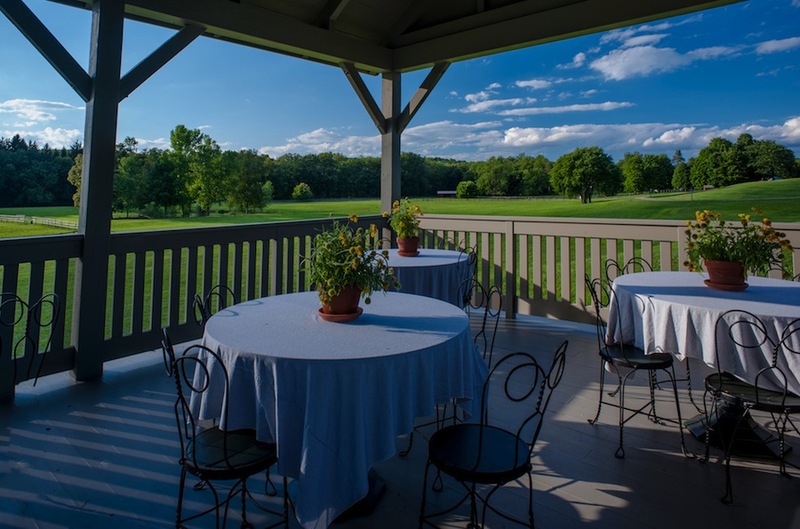 On the off chance that you want to leave this pleasant compound, head to nearby Rhinebeck. The nearby Culinary Institute of America produces top talent, and it shows on the restaurant scene. The Local serves creative mezes prepared with the freshest area foods. Market Street is a warm, bright spot with a wood-burning oven that turns out fantastic thin-crust pizzas like Caprina, with fig-rosemary spread, Coach Farms goat cheese, pear, arugula, and truffle oil, as well as juicy lamb chops with crispy fingerling potatoes. 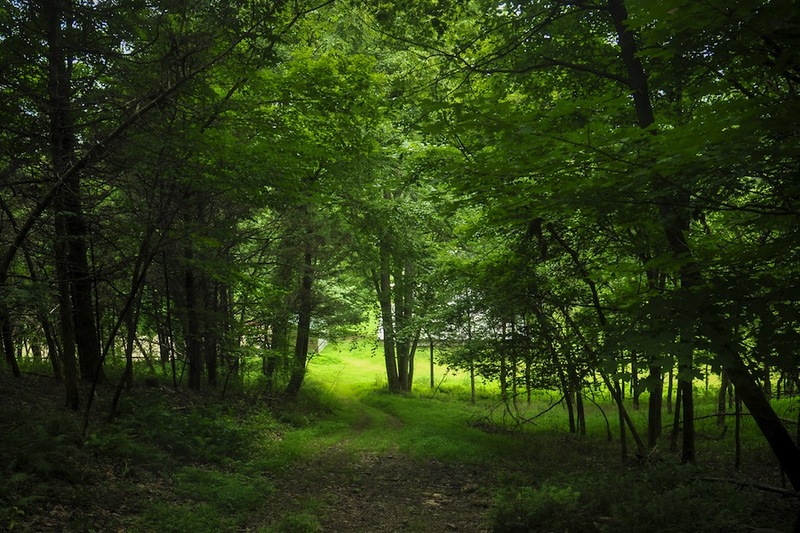 A hiking trail for quiet contemplation. For a gentle hike with stellar views, the two miles of trails along Poet's Walk meander through fields and along the Hudson River. Hiking, biking, cross-country skiing, and showshoeing are the seasonal activities of choice around here. Further north, you'll find Olana, the former home and gardens of the artist Frederic Edwin Church. The grounds are stunning, as are the Hudson River School paintings within. Seasonal events include everything from outdoor concerts to art classes. Hudson, a former shipping and manufacturing town, has been hipped up with the addition of mid-century modern galleries, clothing shops, and creative restaurants like Swoon Kitchen Bar, where kale salads and thick-cut BLT sandwiches are the orders of the day. Two hours from New York City via Amtrak or by car along the Taconic Parkway.